Bad news for Samsung, as pre-orders for its new Galaxy S9 series are just 70% of the predecessor, a South Korean publication reports. The numbers from the first day indicated that pre-orders of the Galaxy S9 in South Korea are down 30% compared to the previous model. 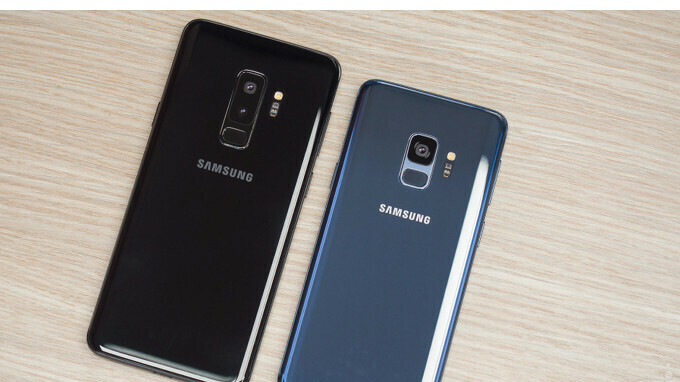 Sources familiar with the matter say that only 180,000 Galaxy S9 units were distributed via South Korea's main three carriers during the first day of pre-orders, whereas last year Samsung managed to sell 260,000 Galaxy S8 series phones. Samsung has yet to announce any sales figures but industry watchers claim that the performance of the Galaxy S9 series would be around 70-80% of the predecessor due to lack of innovative features. The Galaxy S9 and S9+ are already available for pre-order in all key markets across the globe, but the smartphones will not hit shelves until March 16. However, the South Korean handset maker confirmed it will ship the flagships one week earlier in some countries. I'm also happy!!! It's about time people understand what phones are just useless and what is the best. It's about time for people to be brave enough to boycott Samsung for their lack of innovation and copying of other companies. Hahahahahahahaah, lack of inovation? look at your fruit, they stole every single feature from android Small bezels Iris scanner/face id wireless charging Glass design higher resolution (then the "perfect retina") Amoled display Fast charging So before you spread bs, try to think first. Small bezels are not an android feature lol it's a technological advances which every brands regardless of OS will reach. Iris scanner is a feature of Samsung and not an Android feature YET. Android supports face recognition which is 2D and not 3D which Face ID offers. Apple is not the first to offer face recognition but the first to offer Facial 3D recognition on a mobile device. Wireless charging started with palm lol but fast wireless charging started with Samsung (still not android) Glass design is not a software feature (Android) besides Glass design started with iphone 4 were released before that we all had combination of plastic, metal, and polycarbonate materials. Apple started the high ppi with their iphone 4 (Retina display 326ppi) and then other brands started putting way higher ppi (past the retina display apple called which is 326ppi) Nokia had amoled display with their N86 before Samsung started using it with their devices and besides AMOLED is not a feature of Android. Fast charging if you mean QC 2.0 -4.0 then it first started with S6 and Note 5(QC2.0) then used by other brands with Qualcomm chipsets while stock Android supported USB PD. Acting like you had the higher ground just because you can list random things that are apparently 'first' from Android. I used both OSes extensively they have their own pros and cons. Who cares who started it first? Company copies to be in the market aren't you glad there's a competition. Fact check your facts before spreading news that arent even true. This kind of blind fan boy/girl is the worst kind. I gave Samsung credit for the first to introduce clipboard on there keyboard that allow you to copy and paste including showing your copy and paste and deleted later on if you want lg did the same btw. This the one of the best feature of Samsung and lg that no android phone offrded even with third party keyboard including pixel even iPhone. lmao indeed your right! o.o too sad appy fans cant see or wanna face the truth! Lols! He didn't even mention the fruit and yet you attack him as if he is promoting that fruit. Lols! Pathetic. Bwahahahaha! lack of innovation title is for apple...samsung innovated many things in recent years and still innovating...sometimes slow and sometimes fast... its a matter of realisationor proper knowledgeof technology...and one more thing other makers are copying or adopting latest trends setting by OEM.if you want to boycott then boycott other chinese makers or other brands of not having attraction .... samsung phones are full of everything....SAMSUNG is LEADING in a good way. I don't think Samsung lacks innovation, I think the main reason for low sales is same design. I would say the price is the main reason. Let's get real the S9 is actually a little more expensive than the S8. Flagships phones are getting more expensive and this is not a good thing. Same as Apple wait till next year for the 10 version? I assume Samsung will be holding back the good stuff for the 10th phone? What happened to the iPhone 4 years in a row then? It's probably not the design but more than likely the market is mature and people don't feel the need to upgrade as often. Same for all OEM's, take Apple for instance, the X is the first radical design change in 10 years, it should have flown off the shelves but yet they sold less phones in 2017 than in 2016. LG offered some damn good phones in 2017 yet lost almost $1 billion. The only ones with huge growth are OEM's such as Xaomi, OnePlus & Nokia who are offering far more value for your money. "What happened to the iPhone 4 years in a row then?" Well, they did not sell well either. "Same for all OEM's, take Apple for instance, the X is the first radical design change in 10 years, it should have flown off the shelves but yet they sold less phones in 2017 than in 2016." Yeah, Apple sold less phones but only 1 percent less and that's because 8/8 Plus did not sell well. iPhone X did its job. Actullay iPhone and galaxy still the best selling phones forget about xaomi, one plus and Nokia. The reason why not selling well due to the expensive price S9 plus in Canada cost 1099$ add tax going to cost around 1200$!. How many times they lowered the orders for iphone x parts in 2018? Like I mentioned, I managed to get a hands-on last week with both the S9/S9+handsets on display at an official Samsung store. I believe, like the rest of most consumers, I found the display and camera to be great, but there was not much notable difference compared to the Galaxy S8/S8+ for someone to shell out an extra $200-$300 for, when the S8 series is now considerably cheaper. I also noted last time that the S9/S9+ felt plasticky and lightweight despite being covered in glass and metal, yet there were some Samsung fans here who kept arguing that the S9+ is heavier than the S8/S8+. (As if people buy something just by looking at stats and figures on paper) *Rolls Eyes* - What I am saying is, it feels cheap compared to other flagships from other brands like Apple, Huawei, and LG etc, and even the Samsung Note 8 which now costs less than the S9/S9+ feels more worth a buy than the latter, if someone is out looking for a new smartphone. So is it any surprise consumers didn't bite the bait and go for the S9/S9+? Absolutely not. There is no point of arguing with Samsung fanboys in this site. They are a bunch of 12 year old kids who like to name call others when they lose an argument. It's like punching a wall hoping it'd collapse. A fool is a fool no matter how hard you try to convince them. And yet you keep coming to Samsung articles to do just that. Actually, you come to troll, and point out any Samsung issue, but not Apple's exact same issue. You're a hypotroll. Dude, stop punching the wall. The wall garden will not let you go. A sheep is a sheep no matter how hard you try to convince them. Exactly...he refuses to see that plain fact though. It’s laughable. Hey iFanatic, name a better phone then the S9 plus atm.